There are few sports in the world where a nine-year-old and a ninety-year-old can play together, but one that comes readily to mind is lawn bowling. 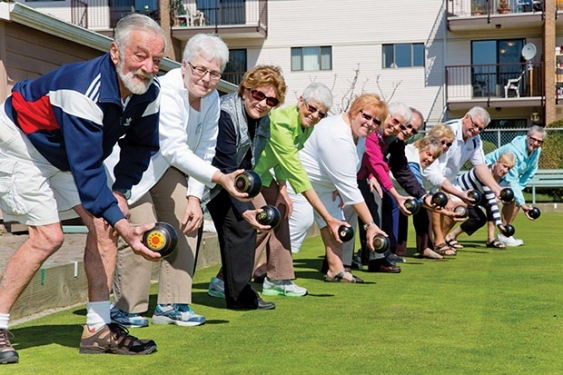 The Tsawwassen Lawn Bowling Club is just getting into the swing of things for the 2016 season where they play on a natural green lawn down at Winskill Park. Like many of the members, the club’s president, Pauline Mushens, began bowling after retirement in 2008. It was of little surprise that the game came naturally, as her grandfather was Southwest England and West of Scotland lawn bowling Champion.